To use Vapor on macOS, you just need to have Xcode 8 or later installed. Install Xcode 9 from the Mac App Store. 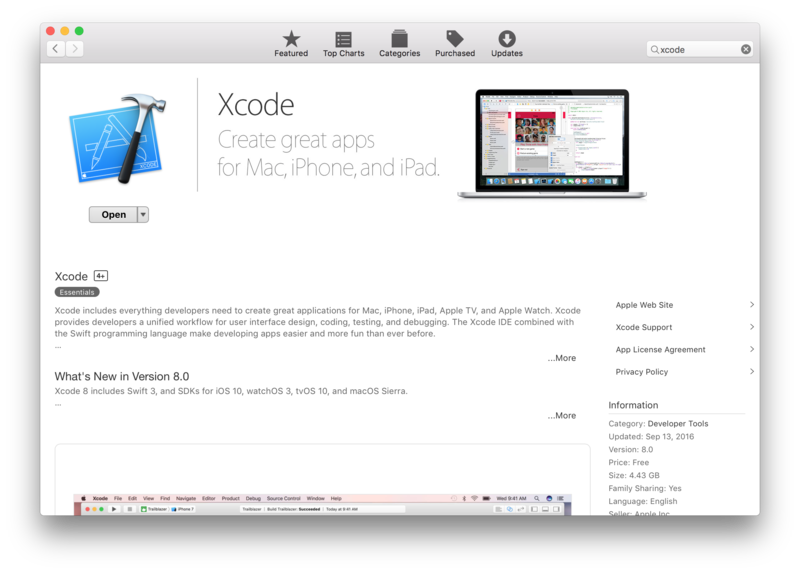 After Xcode has been downloaded, you must open it to finish the installation. This may take a while. Now that you have Swift 4 (or Swift 3.1 if you installed Xcode 8), let's install the Vapor toolbox. The toolbox includes all of Vapor's dependencies as well as a handy CLI tool for creating new projects. If you don't already have Homebrew installed, install it! It's incredibly useful for installing software dependencies like OpenSSL, MySQL, Postgres, Redis, SQLite, and more. For more information on installing Homebrew, visit brew.sh. Vapor's Homebrew tap will give your Homebrew installation access to all of Vapor's macOS packages. Now that you've added Vapor's tap, you can install Vapor's toolbox and dependencies. If you've previously installed Vapor upgrades to Homebrew and Vapor may be required to work with the latest versions of macOS, Swift, or the instructions in this guide. Check out Swift.org's extensive guides if you need more detailed instructions for installing Swift.